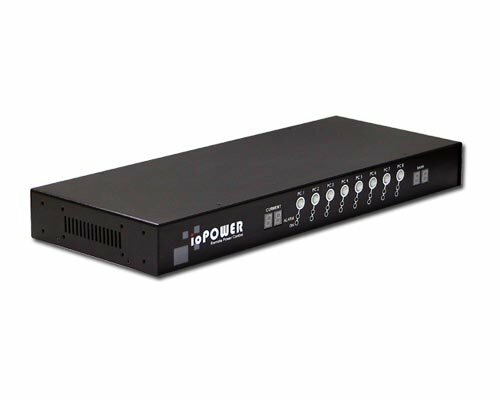 The Linkskey LKV-IOP08 is standalone remote power control or an accessory to provide remote power control capability for Linkskey IP-Based Remote Management devices, LKV-IPM01 and Prima IP-Based KVM switches (LKV-9208IP and LKV-9216IP). When your server or network device has just locked up and stopped responding, and the only remedy is a power recycling off and on of it. As simple as this reboot procedure can be, it nevertheless requires the admin to attend the server room just to switch the power off and on again. But what if the administrator is a thousand miles away and nobody can respond to this immediately? The Linkskey IP-Based KVM switch + LKV-IOP08 is the solution for you. If you have any questions about this product by Linkskey, contact us by completing and submitting the form below. If you are looking for a specif part number, please include it with your message.